It is based on the great graphviz plugin by Carl-Christian Salvesen. 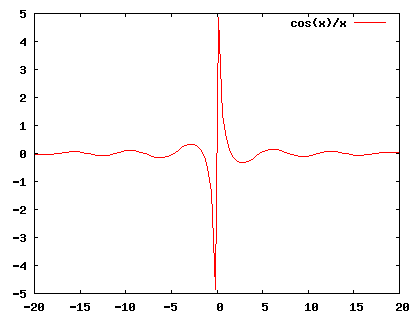 I'm not going to explain much stuff here, just install gnuplot and you'll be fine . Unable to display file "http://darcs.erazor-zone.de/php/dokuwiki/plot/syntax.php": It may not exist, or permission may be denied. 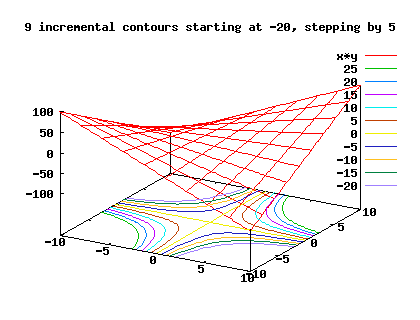 set title "9 incremental contours starting at -20, stepping by 5" 0.000000,0.000000  font ""
check PHP_Compat lib for file_put_contents.php. I have no idea how to add a patch to this plugin (I sent a diff file to the author...), so I will add it here. plot  'src:/playground/datos.txt' using 1:2 ti "my graph"
because write to /tmp isnt allowed. this tmp dir is used by multiple plugins yet. But cool Plugin :) - i'm using it together with dokutexit.